In the Justice of the Peace Courts, you, the victim, will be prosecuting your own case if you signed the warrant against the defendant. There will not be a prosecutor from the Attorney General’s Office assigned to your case. 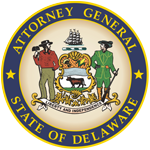 Delaware law prohibits private prosecution of criminal cases. A private attorney may accompany you to court and help you prepare your case, but the attorney may not speak for you. If the police signed the warrant on your behalf, the officer will take responsibility for prosecuting the case. You will be called as a witness. Q. How do I get witnesses of the crime to come to court on the day of trial? A. You must go to the Justice of the Peace Court AT LEAST 2 WEEKS prior to the trial date to fill out a witness list and request that subpoenas be issued. Your witnesses will then receive a subpoena, which requires them to appear for trial. Unless the police officer saw the crime take place, he or she does not need to be subpoenaed. Q. What happens if I ask for a witness to be subpoenaed and they don’t show up on the day of trial? A. Anyone subpoenaed by the court who fails to appear can have a warrant issued for his or her arrest. Witnessed cannot just ignore a subpoena. Q. If a witness can’t come to court to testify, can they send a notarized statement to the court instead? A. Written statements, even notarized statements, are not allowed in court. They can’t be used instead of in-person testimony. You should ask for a subpoena to be issued for all the witnesses you need for trial. Q. What if I or one of my witnesses cannot come to court on the assigned date and time? A. If you cannot appear on the date and time that trial is scheduled, please call the court where your trial will take place as soon as you receive the trial notice. Only in cases of genuine emergency will trials be rescheduled (called “continued”) within 72 hours of the original trial. Trials cannot be continued for witnesses, so check the date and time with your witnesses as soon as you receive your notice. Q. What kinds of paperwork should I bring to court? A. Make sure you bring any hospital or doctor bills if you received medical treatment because of the crime. Bring any insurance estimates or receipts if you property was stolen or damaged because of the crime. Q. Can I bring up other court cases which involved this defendant and myself? A. 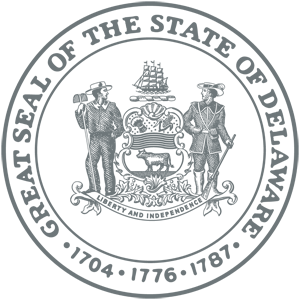 Bring to trial all documents and papers you have about any court hearings involving you and the defendant. Although other crimes are not normally allowed as evidence in court, there are some circumstances in which this information may be important. Go to the Justice of the Peace Court where you trial will be held and fill out a “subpoena sheet” for your witnesses. Make sure to take complete names and addresses of all witnesses with you. If you are unsure of witness names or addresses, contact the police officer who took you report. Try to arrive 10 or 15 minutes early. The court will wait 30 minutes from the scheduled trial time for all parties to appear. The clerk will call the case (“State of Delaware versus Defendant’s name.”). The clerk will direct you to the proper courtroom. Enter the courtroom and the clerk will instruct you where to sit. If you are wearing a hat, remove it before entering the courtroom. When the judge enters the courtroom, stand up. The judge will then announce the case and read the charges. When the judge finishes, you will be asked to take the witness stand and be sworn in. Once you are in the witness stand, explain clearly what happened, when, and how. Indicate the defendant as the person you charged by pointing him or her out to the judge. Make sure that you state that the offense happened in New Castle, Kent or Sussex County, Delaware. Include the date and time that the crime took place. You may write information down on paper and take it with you to the witness stand if that will help you. This is the time to enter any evidence you may have (telephone records, receipts for medical bills or repair expanses, letters, etc) to the court, by presenting this to the judge. When you have finished testifying, the defendant will have a chance to question you. This is called “Cross-examination”. Once the defendant has asked you questions, you may then call your witnesses one by one to the witness stand. They will be sworn in and you can ask then to tell the judge their version of the case. The defendant will be permitted to cross-examine each of your witnesses. When all of your witnesses have finished testifying, the defendant may take the witness stand, be sworn in, and testify. When he or she is finished, you may cross-examine the defendant. The defense witnesses will then be allowed to testify, and you may cross-examine them when they finish. Once all witnesses have testified and been cross-examined, you may give a closing statement. Use this to tie together your testimony. The defendant can then also present a closing statement to the court. Once closing statements have been made, the judge will make a decision on the case. If the defendant is found guilty, the judge may ask you for any input in the sentencing process. You may ask for restitution for the amount of the bills, or that the judge order the defendant to have no contact with you for an amount of time. The sentence, and any special conditions attached to it, are ultimately the decision of the judge.